The tenth hole turns back into the prevailing wind. 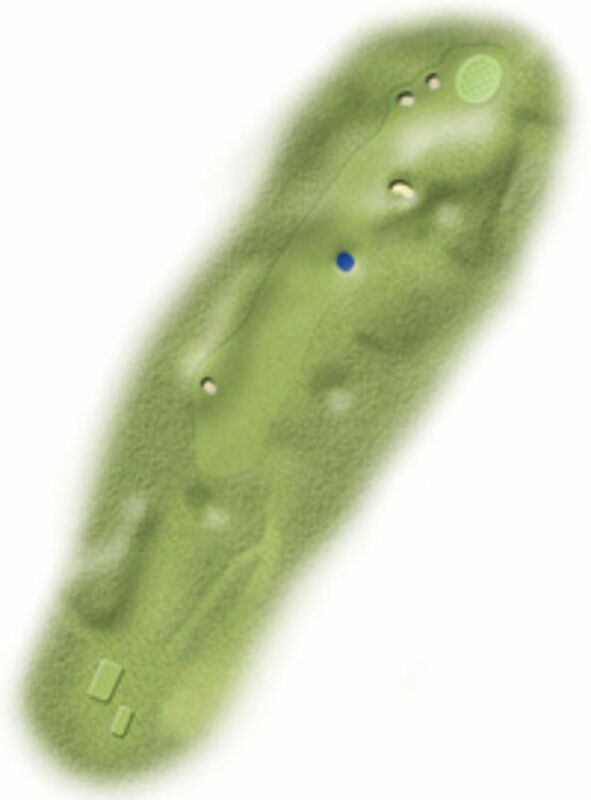 It is a 417 yard par 4 where the green is not visible from the tee. The ideal line in is from the left. When playing down wind the big hitters should be careful of the pond on the right.